What does it mean to be noble? According to the Merriam-Webster dictionary, “noble” means “having, showing, or coming from personal qualities that people admire (such as […] generosity, courage, etc.)”. Generosity and courage. That is what it means to be a truck driver. The trucking industry is the heart of modern America and truck drivers are the lifeblood keeping America going. Truck drivers traverse every corner of the continent, hauling everything from oil to toothpaste. They supply hospitals with medicine. They deliver produce to grocery stores. All essential industries depend on regular shipments in order to function on a day-to-day basis. America’s economy “depends on trucks to deliver over 10 billion tons of various commodities”. Truck drivers are essential. 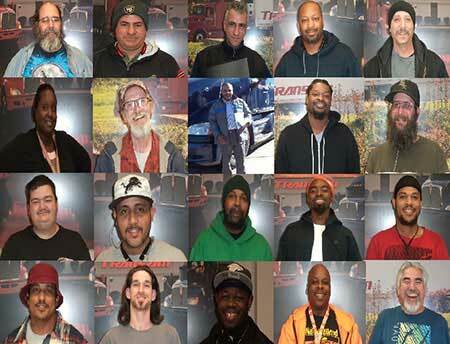 Choosing to be a truck driver is a huge responsibility and a very generous act. Truck drivers give a great deal of their time to ensure America runs smoothly. They drive long hours and sometimes spend weeks away from their families to make sure every family can receive food and essentials. “80% of all U.S. communities depend solely on trucking”. That means 80% of American communities wouldn’t exist without truck drivers. Because of the service they provide, truck drivers keep America going. America doesn’t stop during bad weather and neither do truck drivers. Rain or shine, as long as it’s safe to do so, truck drivers are on the roads delivering goods. If a package was ordered in New York and shipped from California, chances are good that there was some sort of bad weather in between. But we still expect the package to arrive on time. Drivers make that possible. They are willing to drive through snow and rain, so long as it doesn’t put themselves or other drivers at risk. The rest of America has the luxury of staying inside at the first possible hint of a rain cloud. We take for granted the fact that truck drivers will still do their jobs. This is why being a truck driver is a noble profession. It means being the force that keeps America going. It means giving your time to ensure another family is able to eat. Thank you truck drivers for everything that you do. We appreciate your time and your service. We, quite literally, could not survive without you.